Who loves ridiculously cute jewelry??? Ha. At least I crack myself up. Because I love my readers (ya'll are the bestest! ), I've got a great giveaway lined up for you today from Stella & Dot. I'm literally head over heels for all of their jewelry- it's gorgeous. 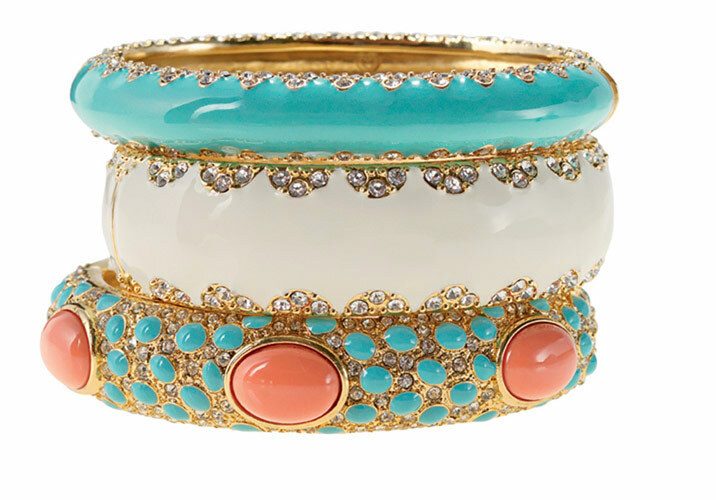 How cute is this turquoise bracelet? Well, luckily, one of you gets to win the bracelet from Whitney Anderson, a Stella & Dot stylist. (1) To enter the giveaway, please head over to Whitney's Facebook page and "like" her page. Then head back to Ten June and leave a comment on this post letting me know you liked Whitney's page. (2) For extra entries, blog or tweet about the giveaway, then head back over to Ten June and leave a comment letting me know you did so. Only followers of Ten June are eligible to enter. I'll leave the giveaway open until Friday night (the 24th) at midnight EST. PS. 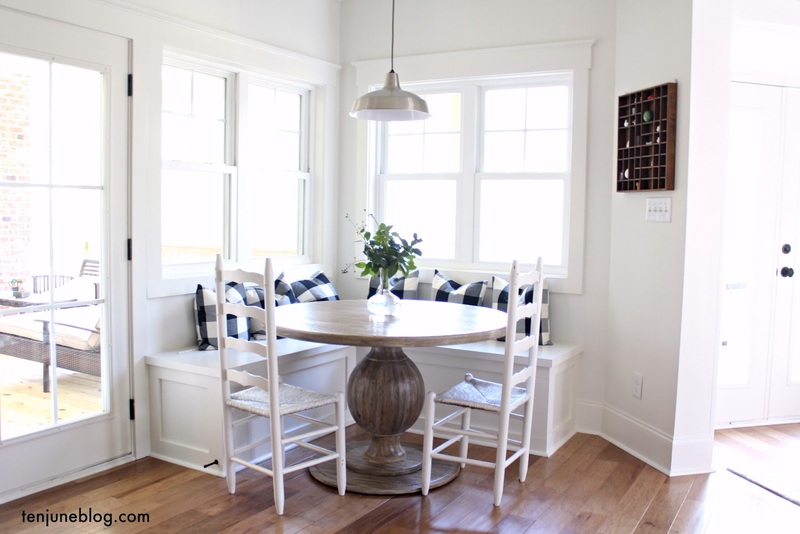 Check out what I love that is bright, bold and beautiful over Laura's blog today! Gorgeous bracelet. I'm not on facebook, so no chance for me. But wanted to say what an awesome contest! Good luck to everyone. Thanks for the giveaway! I'm following Whitney's page. I love some S&D! I am now following Whitney's page! Fabulous bracelet...I follow Stella & Dot! Love that bracelet!! I am a new fan of whitney's Facebook page!! I adore Stella and Dot jewelry! I liked Whitney's fb page and tweeted about the giveaway (@thebudgetista)! Also facebooked about the giveaway!!! I'm a huge fan of Stella and Dot (and Ten June)! Great giveaway!! I love this bracelet--and yes, I too love all of stella and dot's jewelry!! They have such great, fun pieces. I'm a follower who loves Stella & Dot and likes Whitney's fb page! Just blogged the giveaway also! Gorgeous bracelet! I love the colors! And I liked her Facebook page! I also tweeted the giveaway! What a great giveaway! I am a fan of Whitney's page. I liked Whitney's FB page... love love love the bracelet! Love Stella and Dot lottttsaaa!! Im a follower and liked Whitney's page! love her jewelry. want the bracelet. liked her on fb. Heck yeah dude! Just liked Whitney's page! I liked her page!! (: So fun. I love Stella and Dot!! Love this bracelet! Just liked Whitney's page! Umm...I LOVE the bracelet. I actually love the trio, so I'll be needing to purchase the additional two if I win the turquoise. I liked her on FB! i "liked" her page! i just discovered stella and dot and am eyeing a gorgeous necklace. i'm bummed that it is over 200 dollars. boo. thanks for giving us a chance to win these great bracelets! I liked Whitney's FB page! I'm also a follower of your blog, of course! Hi - I just posted about your giveaway on my blog giveaway alerts! Hi - I liked Whitney's page on facebook and left a comment about your Ten June giveway there, too! I liked whitney's page, now please let me win! I LIKED Whitney's Page! I love Stella and Dot! PICK ME! I love the bracelet! I LIKED Whitney's page!!! I love this!! I liked Whitney's Page! I love Stella & Dot and your blog! I read it all the time! I liked Whitney's page! I love the bracelet!! I liked this on the book- I hope to win! Love the bracelet! Thanks for the great giveaway! I like Whitneys page! I "liked" Whitney's page! Thanks for the giveaway! I like you to know I just liked Whitney's page. Hello from Frog Hollow Farm! These bracelets are so pretty - I really love the colors and think anyone could wear them with jeans or a cute dress or skirt. Her facebook page is really a great way to see how to update an outfit by using her jewelry as an accessory - and I love that jewelry ALWAYS fits! Her logo is cute too. Liked the page. Fingers crossed that I win! Oh my pick me!!! I would love to win one of those gorgeous bracelets! Love these bracelets! Would LOVE to win this :) Thanks so much for hosting this fabulous giveaway!!! Giveaway: Pillows from the Lacey Placey!! Stella & Dot Giveaway Winner and an Announcement! San Fran Blogger Meet Up!